It's Friday and Fidel Castro was awarded the Confucius Peace Prize this week. So ask yourself, what else did I miss? After 75 days of protests that blocked major traffic arteries in Hong Kong and sparked conflict with the police, things are finally starting to calm down. As of Thursday, police have cleared away the final demonstrator camp. While many are glad to see tensions eased throughout the city, the demonstrators maintain hope that the people will continue to fight for a democratic future. In a move that might surprise some, former Cuban leader Fidel Castro, was actually given an award this past Thursday. Castro is the recipient of the Confucius Peace Prize, China's version of the Nobel Peace Prize. 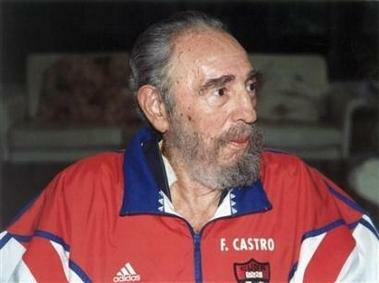 Allegedly, Castro was chosen for the award because he did not use force to deal with international conflicts while still Cuba's standing leader. While the idea of ISIS successfully recruiting U.S. citizens might seem ludicrous to some, it continues to be an ongoing issue in our nation. The so called Islamic State has made a point of attempting to recruit members from around the globe, and in some places they're seeing results. Just recently, three high schools from Denver, CO were stopped from travelling to Syria to join the group, bringing Denver into the spotlight for dealing with such cases. While parts of the country are just starting to get a fresh coating of snow, Californians are facing different issues. Thursday saw a freak burst of heavy rains in Northern California which flooded countless roads and resulted in the closure of several schools. As the winter months drag on, folks around the nation continue to brace for the next rash of bad weather. A suburban Philadelphia town faces challenges in cultural acceptance as plans to build a Mosque were recently blocked by the city council. The congregation interested in building the mosque has had all attempts at acquiring a zoning variance rebuffed several times, despite the fact that there is no other available land zone for religious use. The congregation plans to sue the town of Bensalem over this matter.